Congratulations to Danielle Bruen for winning the best poster award at the 3rd Insight Student Conference, held in The Helix, Dublin City University, on the 14th September 2016. 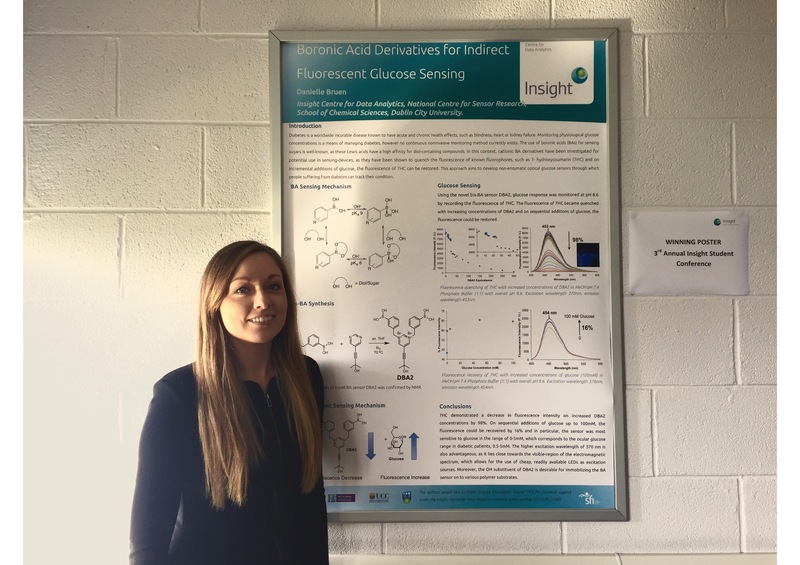 Danielle’s poster contribution was titled “Boronic Acid Derivatives for Indirect Fluorescent Glucose Sensing”. Danielle is a PhD student in her second year of research and she works in the Adaptive Sensors Group in DCU, under the supervision of Prof. Dermot Diamond, Dr. Larisa Florea and Dr. Colm Delaney.